Valsad has quite a few places of tourist interest located in around the city. For the spiritually inclined, there are quite a few temples to visit. Nature lovers have beaches and hill resorts to explore. Those who are interested in history can visit the Sifee Villa Museum in Dandi. The city, famed by Gandhhiji’s Salt Satygraha, is also located close to the city. Let us however, start our tour with a visit to the Tithal beach, located at a distance of 4 km from the city centre. The place is unique in many ways. Unlike many other beaches in the vicinity it is very quiet and serene. How ever, on weekends you will find a motley crowd gathered at the beach. Therefore, if you are looking for some quiet hours you must visit the place on weekdays. The color of the sand is another unique feature of this beach. It is black. May be that is because of Bombay High located close to this area. However, presence the offshore oil field does not stop the visitors from having a fun day at the beach. The sunset also offers a spectacular site. It is indeed awesome to see the sun going below horizon into the Arabian Sea. So you must try to visit the area in the evening at least once. The beach is dotted with many shops selling different types of snacks as well as drinks. In addition, a center for aquatic sports has been opened here. Therefore, whenever you go there you can hope to have a fun time on the beach. There are two magnificent temples located near the Tithal Beach. Among them, the Sai Baba Temple was established in 1982 and renovated in 2007. It is located at a distance of 1 km from the beach. The Sai Baba temple complex at Valsad overlooks the Arabian Sea. The idol in this temple is said to be a replica of the idol at Shirdi. In addition, just as in Shirdi, this temple also has a fire burning round the clock. Another commendable point is that the temple is well kept and clean. Moreover, it gives off an aura of peace and tranquility. Therefore, if you are in search of inner peace or a place to meditate, this is the place to go. If you have kids with you, do not worry; there is a well maintained children’s park within the premises; they will be happy to spend time there. The complex also houses some well maintained guest rooms. Only snag is that there is no online booking facility. You need to go there in person to book rooms at the temple. Swami Narayan Temple is another popular temple located on the shore of the Arabian Sea. It is situated at a distance of 1.5 km from Tithal Beach. It is dedicated to Bhagwan Swami Narayan, who combined social reforms with spirituality and thus cleansed the society many of its ills. The Swami Narayan Temple was constructed in the beginning of 1990s using stones brought down from Jaipur. Apart from the statue of Lord Swaminarayan, which is worshipped daily, the temple also houses idols of Shri Krishna, Shri Ram, Hanumanji as well as many other sages. The atmosphere here is calm and spiritually charged while the surrounding is clean and well maintained. Many devotees come here for meditation purposes. The Swaminarayan Temple is open throughout the day, but you will especially like it if you are there during the chanting. In addition, if you want to benefit from the visit you must be prepared to spend enough time at the temple. Only then you will be able to imbibe the spiritual atmosphere of that place. This temple also has a children’s park and a good canteen from where you can buy healthy and tasty food. Shantidham Jain temple is another excellent temple near Tithal Beach. It is dedicated to Tirthankar Parashwanath. This temple too is very inspiring and serene. Many people visit this temple to pray and worship. It also has AC and non AC guest rooms for those who want to spend some days in meditation and prayer. The temple authority also undertakes many social welfare schemes. Tadkeshwar Mahadev Temple is another important place of worship in Valsad. However, it is located in the heart of the city on Vasihier Road. This temple is said to be more than 800 years old. A unique feature of this temple is that there roof over the sanctum sanctorum where the main Shiv Ling is located. Consequently, the rays of the sun fall directly on it. Since Tadka in Gujarati means sun beams, the temple has been named Tadkeshwar Mahadev. Another interesting feature is that the Shiv Ling in this temple has been positioned horizontally. In most places they are positioned vertically. There is an interesting story about this temple. It is said that one day a cowherd went to the banks of River Wanki for gazing his cows. He noticed one of his cows going inside the jungle and followed it. To his surprise, he found it standing at one point and quietly showering milk over it. Puzzled, the cowherd went back to the village and told the villagers about this. Very soon the villagers dug up the area and found a big stone. Disappointed they went back home. That night one of them had a dream, in which Lord Shiva appeared. He told the man that the stone that they had found was actually a Shiv Ling and he should remove it from the spot and install it at suitable point. He also said that although the stone was big, he would be able to move it easily. Sure enough, as the man went to remove the Shiv Ling he found it as light as a feather. He then put it at a suitable spot. The villagers then built walls around the temple; but each time they tried to build a roof over the structure, it was destroyed. Later they stopped trying and the Shiv Ling now lie under the sun. Devotees from far and near come to worship at this temple. It is believed that they never go back empty handed from Tadkeshwar Mahadev Temple; their wish is always granted by the Lord. There is also another temple dedicated to Lord Krishna and his consort Radha. It is located near Valsad Railway Station. With sloping roof and decorated plaster works, the temple represent colonial architectural pattern. It is one of the most popular parks in Valsad. It is spread over 25636 sq yards of area and it was thrown open to the public in 1931. Valsad also has many beautiful places located close by. Among them we can mention Wilson Hill, Parnera Hill, Dandi, Daman, Vansda National Park etc. Wilson Hill (750 meter), located in a densely forested region, is a nice place to go if you want to lead a day among the green woods. Road that leads to the top of this hill offers awesome views. There are also tribal hamlets on the way. If you have eyes to see and a soul to feel, there are lots of things to see and feel in this hill. There is also a restaurant at the top. Parnera Hill on the other hand offers number of ancient temples. Among them, the temple of Mata Ambica is said to be as old as Tadkeshwar Mahadev in Valsad. However, the temple building is rather new. The construction of this new building was started in 2001 and completed in 2008. Close to this temple you will find the Dargah of Chand Pir Bawa. In addition to this Ambika temple, the hill also has a Krishna Temple located at the foot and a Shiva Temple located near the top. 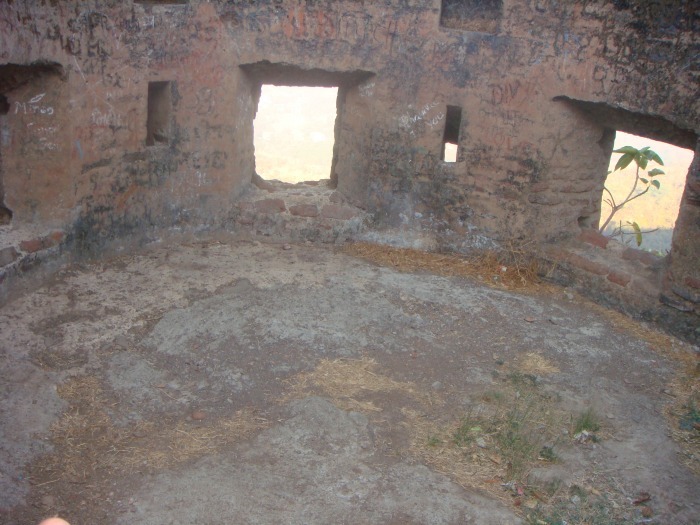 There is also remnant of an old fort built by Chhatrapati Shivaji on Parena Hill. It was surrounded by a formidable wall and a moat, some of which still exist. Apart from such places of tourist interest, the hill offers great scope for trekking and bird watching. Dandi is located at a distance of 16 km from the town. It is where Father of the Nation, Mahatma Gandhi undertook his Salt Movement. While the beach itself is a major attraction, you may also visit the Saifee Villa Museum in the town. It not only tries to chronologies what happened during that famous Salt Satyagraha, but also showcases many rare pictures of Gandhji. Then there is the Vansda National Park located at a distance of 93.5 Km from Valsad. You may also visit cities like Daman and Surat from here. All of them offer great tourist potential as well as entertainment facilitates. In short, if you are in Valsad, there is no scope for getting bored. There are plenty of interesting places that you can visit.